Before my older sister Francesca died, I worked at the bakery and wrote songs, but now I write lists. Lists like ten reasons why it’s my fault Francesca’s dead, or five reasons why I should try and win Howie back, or one reason why I need to stop lying to everyone, including myself. 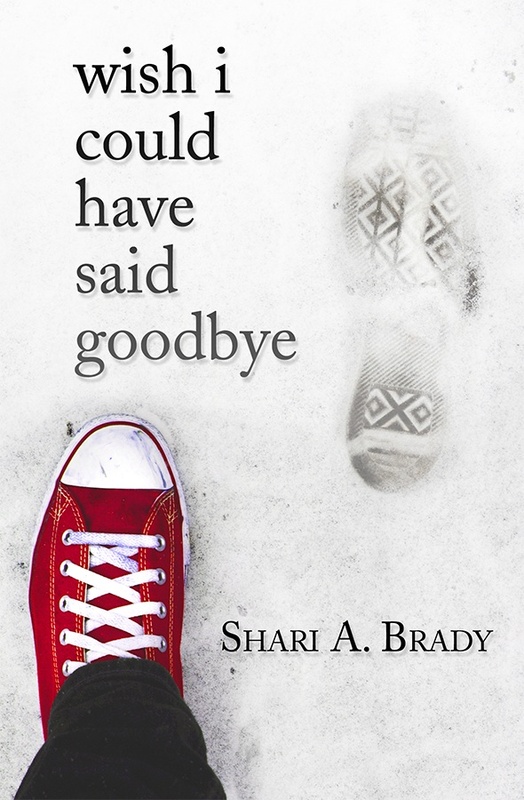 Wish I Could Have Said Goodbye is an extraordinary novel about one family’s struggle to make sense of their world after losing a family member to addiction. Through sixteen-year-old Carmella’s eyes, we witness the courage and strength it takes to overcome the consequences of grief, guilt and co-dependency. WIth conviction and determination, Carmella shows us what can happen when we’re open to love, feel the pain of our loss, and find the courage to accept the truth of our lives. I like how the author has balanced the emotions in the book. It wasn’t downright sad or depressing, which is what I was scared about. It has moments of smile and tears both and it’s all very well done. I liked Carmella. She doesn’t know how to live without her sister and best friend, Francesca. She feels guilty for her death and is scared to open up about it. I wanted her to talk to her parents or Anna or anyone, she just keeps so much bottled up inside her. She isn’t trying to move on with her life. She wears black everyday and is just hiding from her life. She grows up through the course of the book and realizes how she is different from her sister. The romance is perfect. It’s realistic and awkward, sweet and adorable. This is how teenage love should be like. I loved Howie and all his ways. I also liked that romance was a part of the book but it didn’t just take over the entire plot. Howie brought laughter and love back into Carmella’s life. “Howie makes me think there’s a chance my life could get better”. I liked Anna and she was a really nice friend. I think all relationships in the book are real and honest. Donny was someone who actually helped Carmella the most. The first few scenes, he seemed like a jerk but I guess it was not his fault. That was the alcohol talking. I hope he changed his lifestyle. I liked the writing really very much. It’s simple and I think a good author is one who could give depth to the simplest of words. “So I turn away and walk along the wall of books, touching the spine of each one with my fingers, wondering what lurks inside the pages, wondering if someone became so torn apart by a story she’d decide to never take a chance on reading that kind of book again”. My feelings for her parents are so all over the place. In the beginning, I was really mad with their responses and nothing-has-changed attitude. But I get it. Everybody deals with grief differently, some stay quite, some lie, some cry, some talk and some just ignore. They were scared and just trying to live through all of it. The romance is the best thing about the book. I wouldn’t have liked the book so much if it wasn’t for Howie. Also, the writing is perfect. I will be looking forward to more books by the author. I recommend the book to everyone. Farsighted Series Book Highlight + Giveaway! This sounds like a really nice read 🙂 great review Atmika! Thanks so much for hosting a stop and sharing your thoughts about the book! I LOVE the little quotes you grabbed, those are perfect examples to share with people! "I liked the writing really very much. It's simple and I think a good author is one who could give depth to the simplest of words." YES, THAT! I definitely agree there! And I also loved that the romance was sweet and more realistic than many books out there. This looks so interesting. Love the cover and the fact that the book concentrates on moving on with your life. I am so glad you liked this book! It looks like something I would enjoy – something deep and realistic for a change. I also love the cover.